Dr. Jacquie Smile provides pediatric orthodontics and dentistry for children in Woodbury, Long Island, NY. She specializes in Invisalign braces to straighten teeth, preventative care, correct overbite issues, first dental visits and fix other problems that may be affecting your child’s smile. Our team of orthodontist specialists in Woodbury can help your child fix common dental problems and prevent any future issues that may arise. To schedule an orthodontist appointment for your child in our Woodbury office, conviniently located in Long Island, NY, please contact our practice by calling us at (516) 921-6010 or fill out the contact form to receive more information. Dr. Jacquie Smiles can fix the above issues and help your child’s smile develop into a healthy one. For our younger patients, our dental group offers a number of orthodontics treatments help straighten the teeth and correct bite issues. We also provide preventive dental care including cleanings, radiographs, and sealants, as well as more extensive preventive dental care when required, in our offices in Woodbury, Long Island, NY. Our state of the art pediatric dentistry office was designed with children and teens in mind. 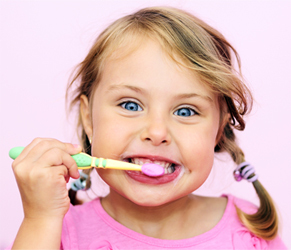 We have video game systems and flat screen TVs so your child looks forward to his/her next dental visit. We make visiting the dentist – fun! Our office is full of bright colors and is a fun and relaxing environment for everyone. Check-ups allow us to spot early signs of cavities, and to monitor the eruption of teeth. We can treat minor problems before they turn into major ones. Not only does it give us the chance to clean your child’s teeth, but we are able to teach them proper brushing and flossing habits (including technique) so they can take their oral health into their own hands. To schedule a pediatric dentistry appointment in Woodbury, Long Island, NY, please call (516) 921-6010 or fill out the contact form to get started today!